SIZE CHOICE:Please refer to the size chart provided on the picture, select the US size corresponding to the length of the foot,wide feet choose one size up. COMFORT FOR ALL-DAY WALK:Heel Height:2.75″/7cm.These heels perfectly designed with ultra-soft and comfortable lining, cushioned footbed, slip-resistant outsole for steady and safe steps could ideally guarantee your confidence in every step when standing in them to anywhere. 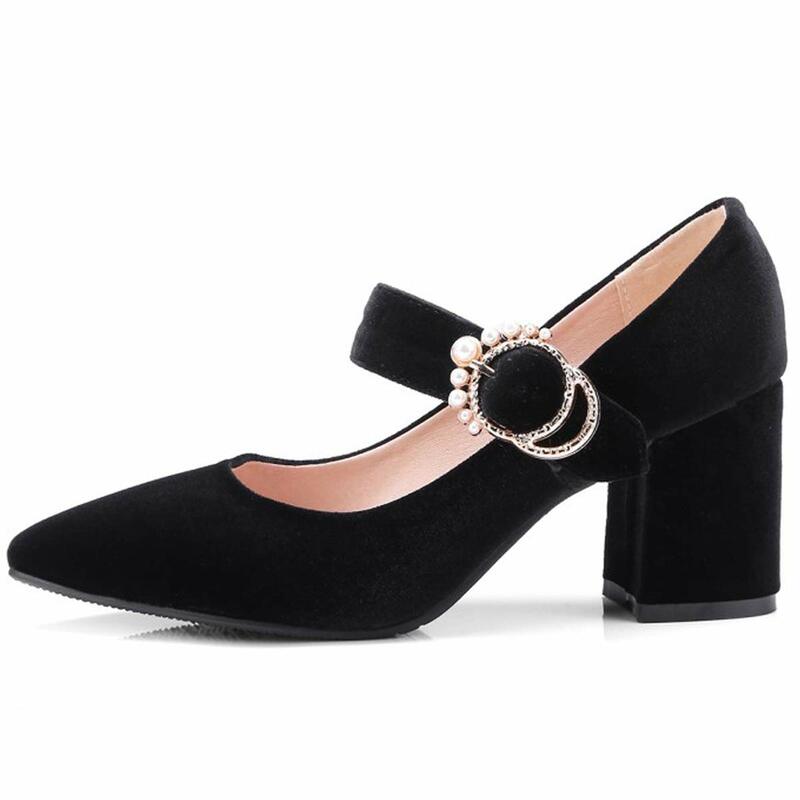 STYLISH MARY JANE PUMPS:The upper is made of velvet for good flexibility and comfort.Your feet will not slip, turn or move with buckle.